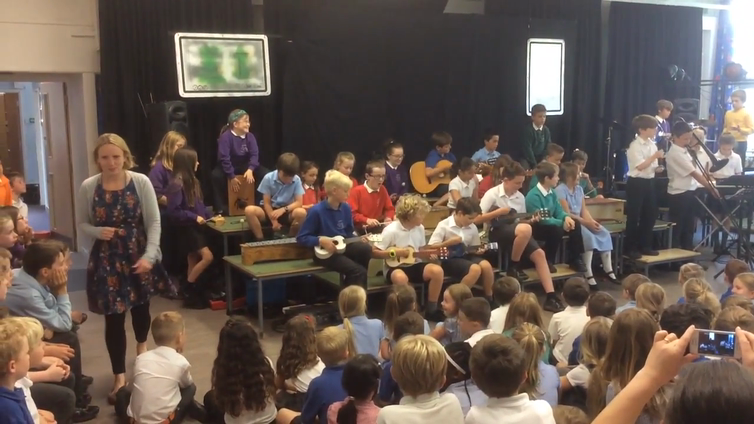 Year 5 worked well together to produce a great performance of 'Manamana'. From ukuleles to cajons, we had a fantastic range of musical instruments being played as part of this tune. With little practise, the children were able to remember their parts to entertain the audience. Thank you to Ms Boucherat for working her magic, once again, in supporting the children to create this piece.